How do I setup a free GMail email account? Fill out the form as directed ensuring the phone number and 'Your current email address' are correct. Select either the 'Text message (SMS)' or 'Voice Call' option and click 'Continue'. 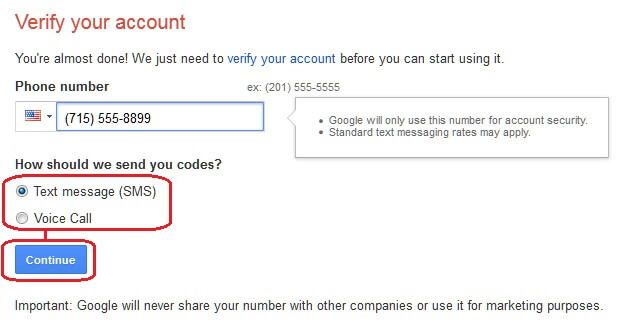 Enter the code you just received from the text message or voice call from Google and click on 'Continue'. You have finished creating your free GMail email account!